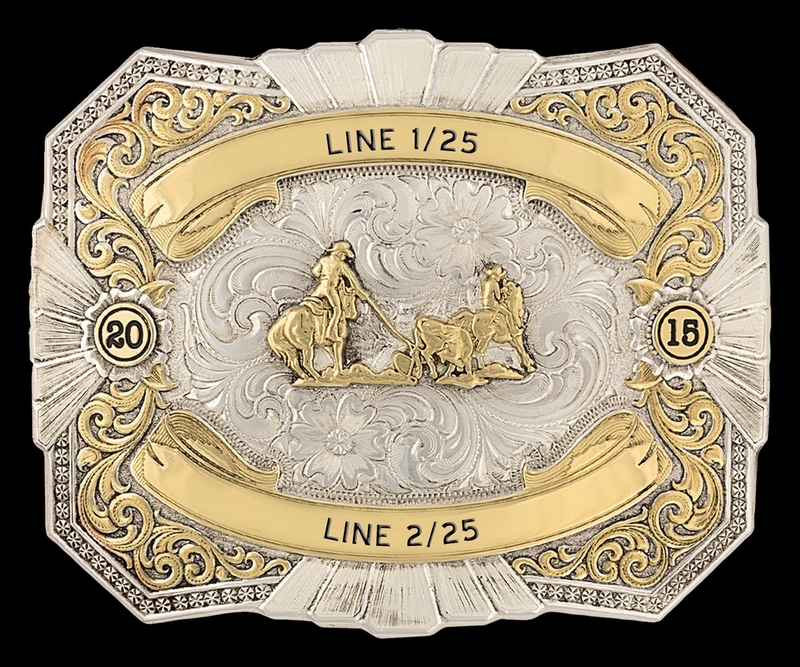 Custom Trophy Belt Buckle 24512RTG from Montana Silversmiths. Retro style at it's very best! Very fancy gold and silver filigree buckle. Option: Add one stone to the center of each of the two silver flowers. See "Extras" below. Click images to enlarge. 3 1/2" x 4 3/8". Date trim and single figure included in price. Option to place stone, of your choice, in two flowers, if you like. Shown with team ropers figure 625.